A great way to get to know New Jersey's Pinelands is through the Gateway sites identified below. These are great locations to visit and are easy to get to. 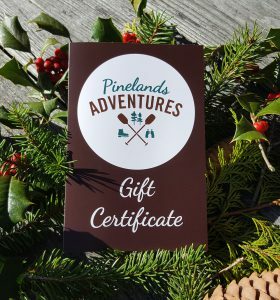 Pinelands Adventures sells an accompanying map. Atsion Village in Wharton State Forest. Atsion Lake is the dammed portion of the Mullica River. One of the log cabins for rent at Atsion Lake. The beach at Atsion Lake Recreation Area is popular summer spot. Fall view at Atsion Lake. 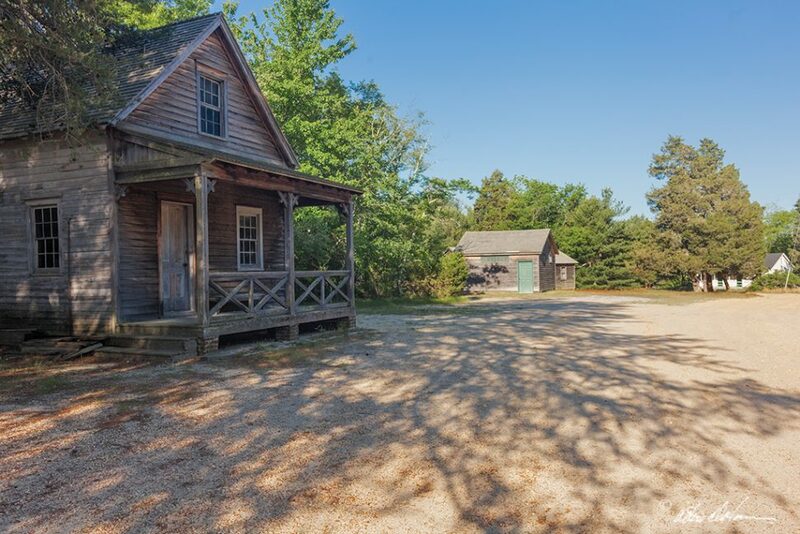 A cross-roads along busy Route 206, Atsion is one of the Pine Barrens’ “Ghost Towns” whose surviving Mansion and ruins tell the story of a thriving 19th Century company town dedicated to smelting and forging bog iron from the Mullica River. 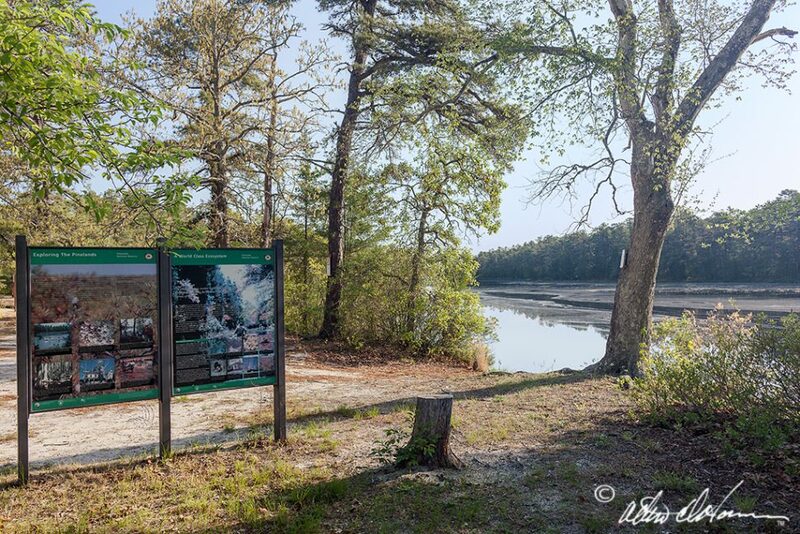 Now part of Wharton State Forest, Atsion and its beautiful lake provide many ways to explore and enjoy the Pine Barrens’ natural and historic resources. Learn more about visiting Atsion on the state’s website. 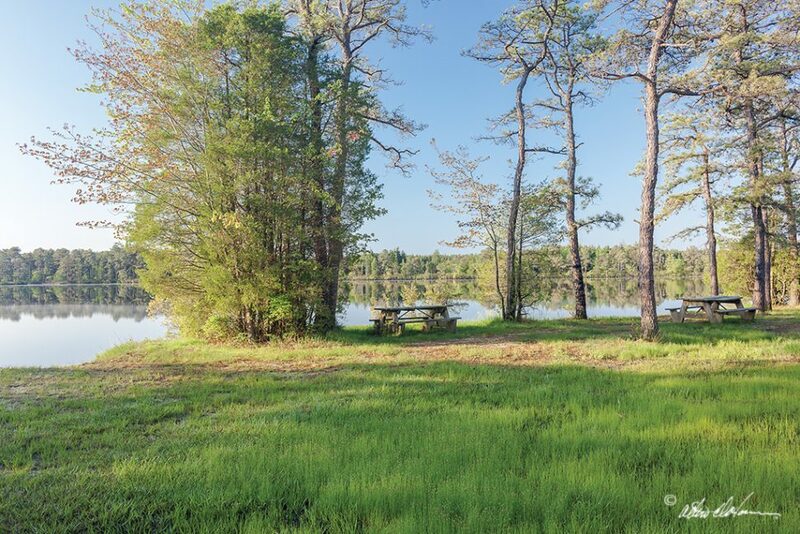 Home to one of the first Civilian Conservation Corps (CCC) camps, Bass River State Forest now provides easily accessible camping, swimming and hiking facilities. In addition to a swimming beach on Lake Absegami, the State Forest has eight walking of 1 to 3.2 miles through typical Pine Barrens habitats. Learn more about visiting Bass River State Forest on the state’s website here. 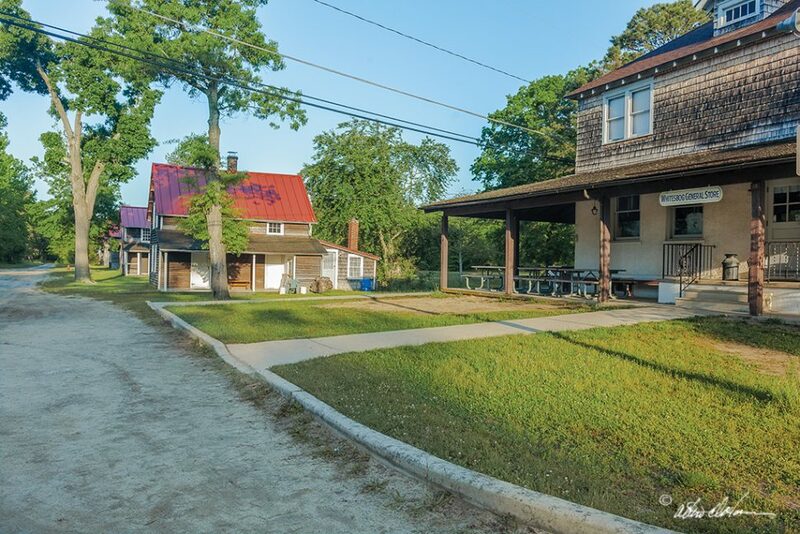 Batsto is one of the most popular stops in the Pinelands. Originally founded as an ironworks in 1766, a restored village surrounds the original ironworks with information and displays on site to show how things were done “in the old days”. The mill dam in the heart of the village creates Batsto Lake, a beautiful lake on which most Batsto River canoe and kayak trips end. 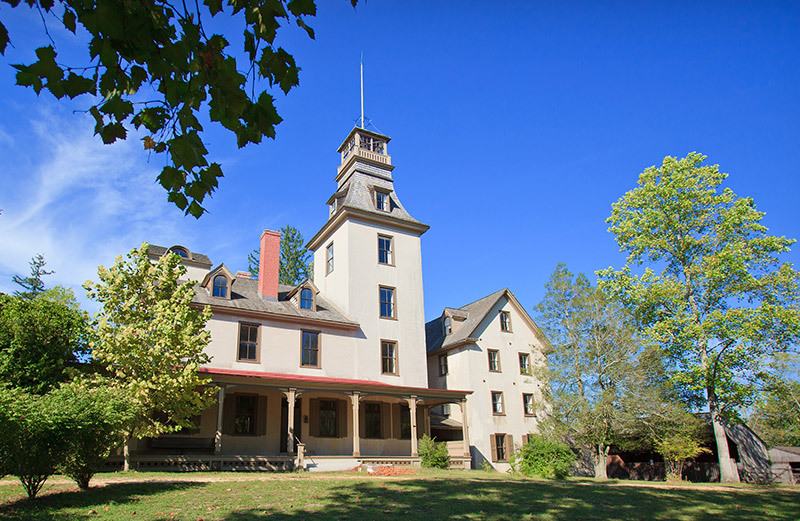 The mansion is restored and open for tours, and the village includes a nature center, saw mill, general store and other early buildings. 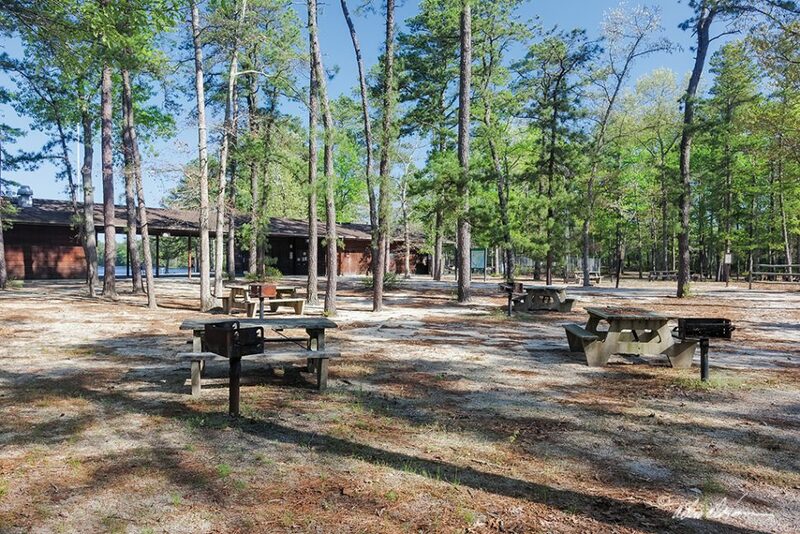 Batsto’s Visitor Center is also the main office for Wharton State Forest, where camping permits, trail maps, and a gift shop can be found. Learn more about visiting Batsto Village on the state’s website here. Double Trouble is the site of an old village dedicated to cranberry farming. Many of the historic buildings, including the cranberry packing house and the sawmill are intact and can be toured. Cedar Creek runs next to the village and is one of the Pine Barrens’ most beautiful. The State Forest contains excellent hiking trails. Learn more about visiting Double Trouble Village on the state’s website here. Here is the best place to experience and explore the Pine Plains or pygmy pine forest, a highly unusual habitat thought to result from the area’s propensity for hot wildfires. The East Plains is encompassed within Stafford Forge Wildlife Management Area and the Air National Guard’s Warren Grove Gunnery Range. A good place to enter is along the access road to the Range, where you can stop along the road and walk into the stunted forest along trails and sand roads or walk around the pond you encounter before reaching the gate to the Range. Learn more about visiting the East Plains on the state’s website here. 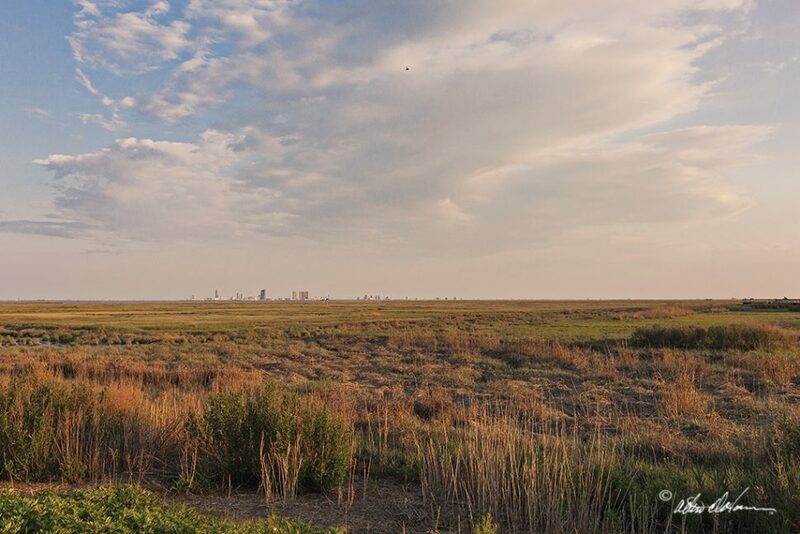 The Forsythe Refuge includes more than 47,000 acres of southern New Jersey coastal habitats and represents the fragile estuary ecosystems which are sustained by fresh water flowing from the interior Pine Barrens forests into the coastal marshes and bays. Located on one of the Atlantic Flyway’s most active flight paths, the Refuge provides world-class birding opportunities. The Refuge also includes walking trails through increasingly rare coastal pine forest habitats. Start at the Visitor Information Center and Wildlife Drive on Great Creek Road in Galloway Township. Learn more about visting Edwin Forsythe National Wildlife Refuge on the federal government’s website here. 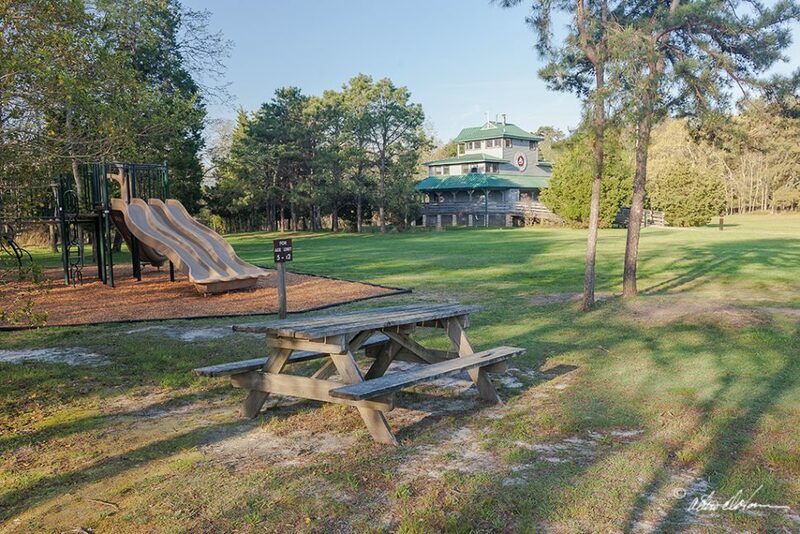 This is a large, user-friendly park where you can hike, bike, picnic, fish, go sightseeing, exercise, visit the park’s nature center, and really enjoy the Pine Barrens. 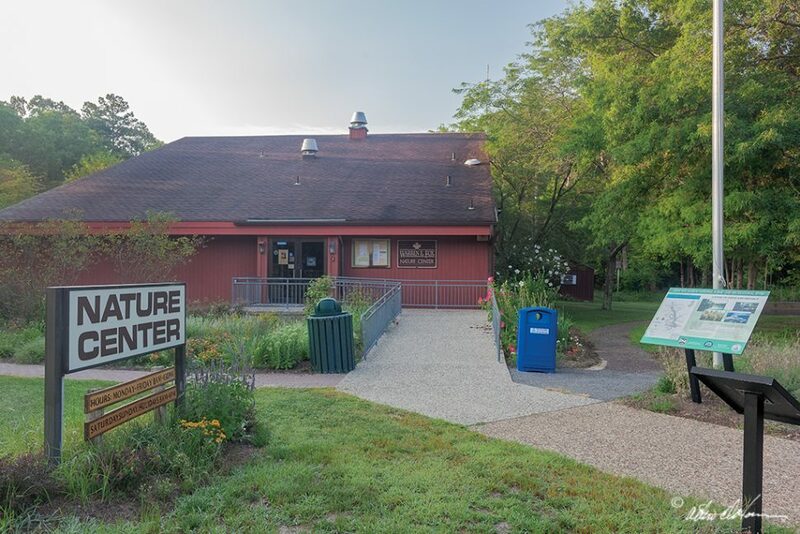 The Fox Nature Center provides programs for enjoying the outdoors as well as displays about the local ecology. 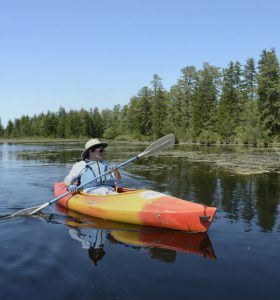 With its location on tributaries to the Great Egg Harbor, the park provides an excellent point to launch all manner of water craft. Historic ruins in the park are well-explained in interpretive signs. Learn more about visiting Estell Manor County Park here. This spectacular 15 square-mile preserve was acquired and is managed by the New Jersey Conservation Foundation and lies in the very heart of the Pine Barrens. There are more than 20 miles of marked trails through a variety of Pine Barrens settings and habitats. Parking and walking access is available at several points around the preserve. 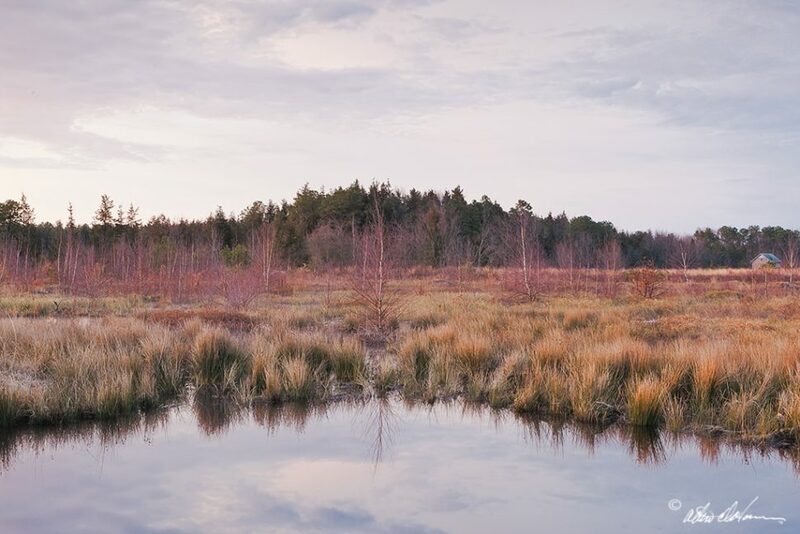 A former cranberry farm, the preserve contains some of the most beautiful wetlands in the Pine Barrens and provides critical habitat to more than 50 rare, threatened or endangered species. 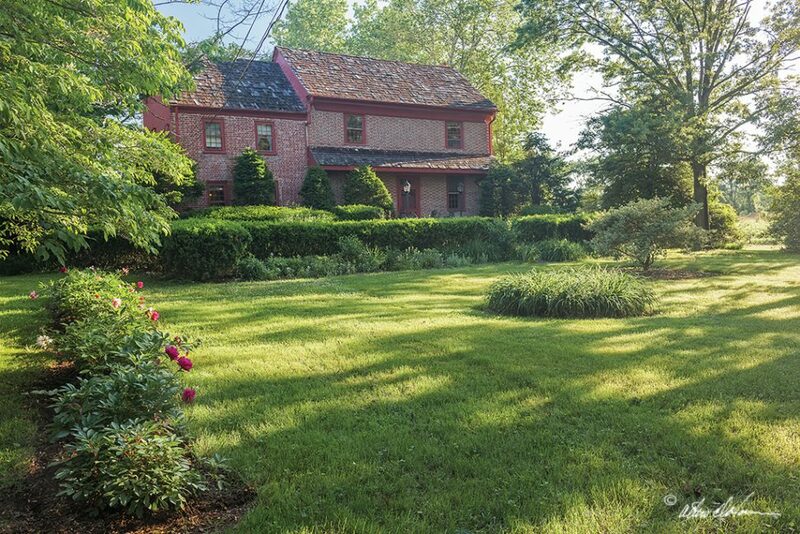 Learn more about visiting the Franklin Parker Preserve by visiting the New Jersey Conservation Foundation website here. Harrisville is a Pine Barrens ghost town where you can still visualize the bygone era when this was an 1800’s paper mill town. Harrisville Pond, created by the former mill dams on the Oswego River, is one of the region’s most beautiful, and there are excellent hiking trails leading in all directions. There is no better place to get a feel for the Pine Barrens and its history. PPA has created a podcast tour of the ruins, which can be uploaded to a mobile phone or other devise. Learn more about visiting Harrisville by visiting the state’s website here. Learn more about visiting Lake Oswego and Penn State Forest by visiting the state’s website here. A beautiful small pond in the heart of the Pine Barrens, Pakim Pond is a wonderful place to explore forest and wetland habitats. A short trail wraps around the entire perimeter of the pond, and also connects to the Batona Trail. 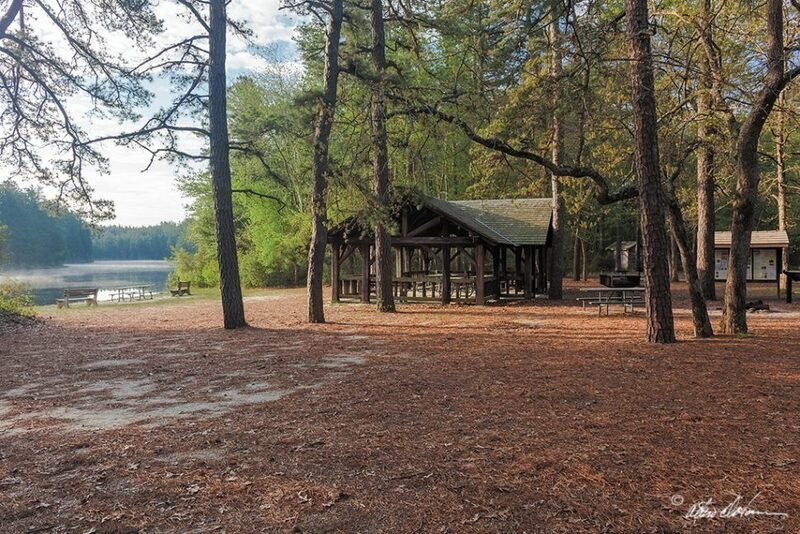 Accessible by paved road, the pond has a gazebo, picnic tables and grills, and restrooms. Learn more about visiting Pakim Pond by visiting the state’s website here. The Pinelands Preservation Alliance (PPA) has been working to protect the Pinelands since 1989 as the only nonprofit organization devoted specifically to New Jersey’s Pinelands. 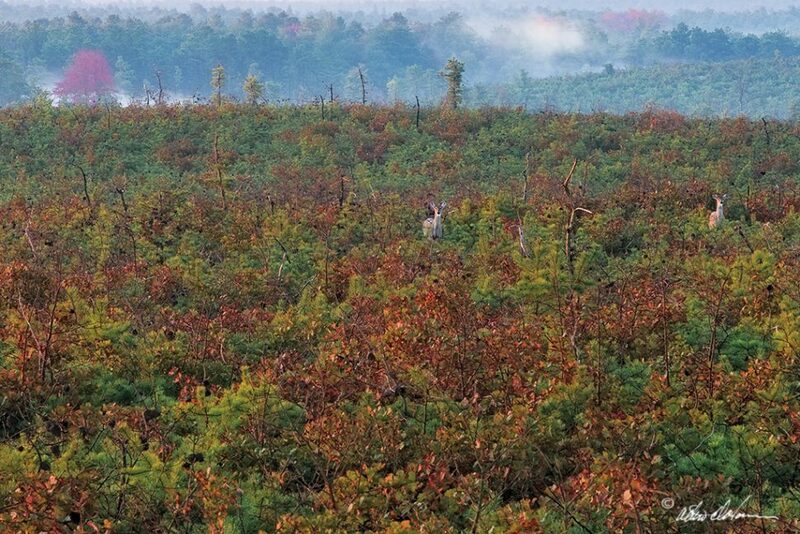 PPA’s focus on the Pinelands is essential, because the ecology and environmental laws of the Pinelands are unique. The most important measure of our success is that vast forests still exist for people to enjoy, to cleanse our water supply, and to provide habitat in which native plants and wildlife can thrive. Wells Mills County Park covers over 900 acres of Pine Barrens forests and wetlands around a beautiful pond. The park has several hiking trails of varying degrees of difficulty, including a “VIP” (Visually Impaired Persons) Trail. The Nature Center provides an excellent introduction to the Pine Barrens and includes the Elizabeth Meirs Morgan Observation Deck, named to honor a local hero of conservation. The park’s staff and volunteers offer a range of environmental programs. Learn more about visiting Wells Mills County Park here. Founded in 1870 by Joseph White, Whitesbog is the historic site of a company town where the blueberry was first cultivated for commercial production by Elizabeth White. The village, now incorporated within Brendan T. Byrne State Forest, includes historic buildings and houses, cranberry bogs, blueberry fields, reservoirs and surrounding woodlands. The village area is managed by the Whitesbog Preservation Trust, and JJ White Cranberry Company, owned by the descendants of Elizabeth White, cultivates some of the cranberry bogs at the edge of the village. Learn more about visiting Whitesbog Village by visiting the state’s website here.